It was a Monday so no one had work. We decided to leave the twins, Sage&apos;s boys and Renee&apos;s kids with the guys while us girls go out. We haven&apos;t left the house yet and I was already second guessing things. "Are you guys sure you can handle this?" I asked them. "We got this you guys go have fun." Anthony said. "Come on Ivy, let&apos;s get out while we have the chance." Jaz said. "OK fine. But Oak my chocolates are off limits to you. All of you." I say leaving. We all get into Vanessa&apos;s car, because her&apos;s was the biggest. The first place we go is to the mall. We all walk into the baby store first. Pippa looked down at her engagement ring. "What&apos;s wrong pip?" I ask her. "Mark doesn&apos;t want kids and I think I am pregnant." She says. We all stop and look at her. "How sure are you?" Renee asked. "I am not sure at all I was going to get a pregnancy test today." She said. "Well we can get one when we are heading back OK." Jaz said. "Oh speaking of which this is for you guys." Jaz said handing me and Renee an envelope. "What is this?" Renee asked taking it. "The gender of the baby." She said. I snatched the paper from Renee and read it. I showed it to Renee and and she smiled. "We are all over it!" Renee said. They all came out and they looked wonderful. "Do you guys like it?" I asked. "I love it but I don&apos;t think it will fit in a couple of months." Jaz said. "Yh have you set a date yet?" Renee asked. "Umm some time in March." I said. "That is a little close, don&apos;t you think?" Vanessa said. "Yes but time is not on my side right now." I said. "So what about you what about your dress?" Pippa asked. "I am wearing my mom&apos;s wedding dress." I said. "Yh. I always loved my mom&apos;s dress. Look at it." I said pulling out my phone to show them the dress. "Wow. Your mom was really ahead of her time." Jaz said. "Can you still try on some things, please?" Pippa said. "Fine." I said getting up. I tried on a couple of dressed but then I found one I fell in love with. I walked out in the dress. "Guys, I really love this dress." I said smiling. "Wow. You look amazing." Renee said. "But you guys, my dress will be hear in a week." "Well get the 2." Vanessa said. "What! I can&apos;t! 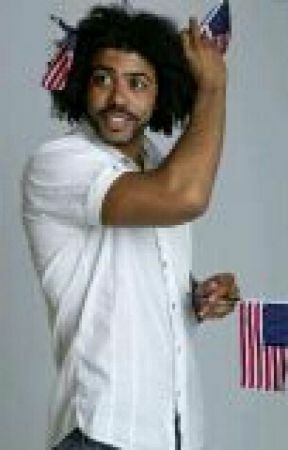 Daveed would kill me!" I said. "No he won&apos;t. Not is I buy it for you." Renee said. "And I will help her." Vanessa said. "Guys I can&apos;t let you do that." "Too late it is done." Renee said going to the counter. I shake my head not wanting her do do it. She was already doing so much as my maid of honor.